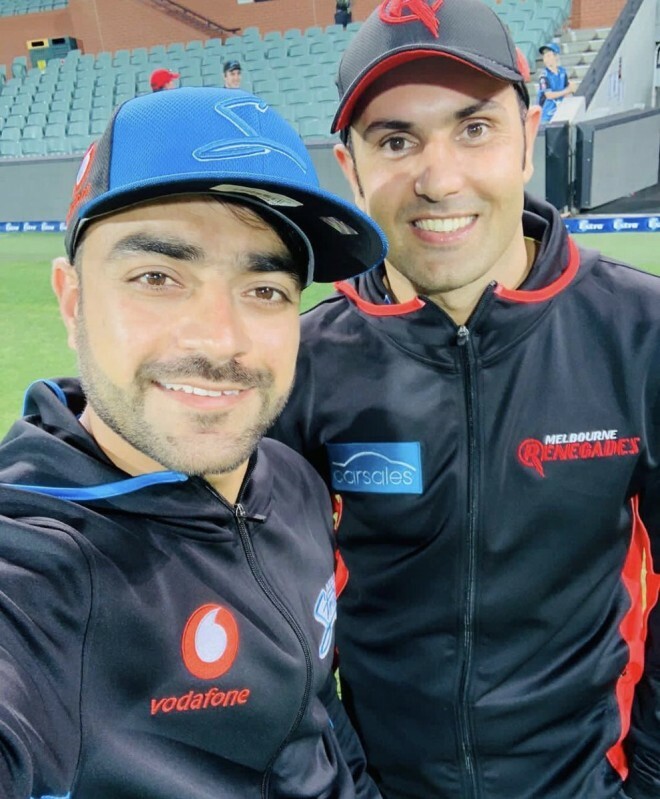 Dubai, March 1: Hazratullah Zazai, Rashid Khan and Mohammad Nabi have not only been helping Afghanistan win T20Is left and right, but they've also now ensured the team representation among the world's top 10 batsmen, bowlers, and allrounders. The latest ICC rankings update had Rashid as the No. 1 bowler. He consolidated his place at the top by picking up four wickets in four balls during the final game against Ireland on Sunday. In the previous game, Hazratullah smashed a record-breaking 162 not out, the second-highest score in T20I history. That innings helped him rise 31 places up the batsmen's rankings to occupy seventh place. Nabi also had a good time against the Irish, scoring 147 runs at a strike-rate of 181 while also picking up two wickets at an economy rate of 7.3. He keeps his No. 3 spot on the allrounders table. Glenn Maxwell's run-spree this week has enabled him to climb to third place on the batsmen's rankings. The Australia allrounder struck 56 and 113 to help his side win the two-match T20I series against India. There were some gains for the Indians as well with opener KL Rahul returning to form with 97 runs in two innings. He moved into sixth place while his captain Virat Kohli occupies 17th. Among the bowlers, Jasprit Bumrah, who nearly rewrote the script during the first T20I when he picked up two wickets in the 19th over of the chase, shot up 12 places to stand No. 15 among the world's best T20I bowlers.